New Country BMW Participates in National Drive Electric Week! 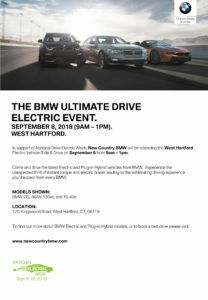 New Country BMW will be attending the West Hartford Electric Vehicle ride & drive event on September 8 from 9am to 1pm. 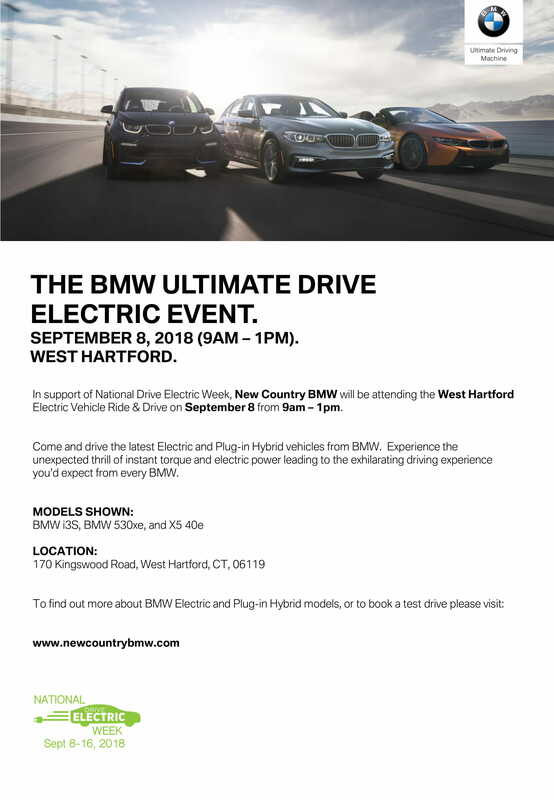 If you are in the West Hartford area and want to support and learn more about electric vehicles, we encourage you to stop by! 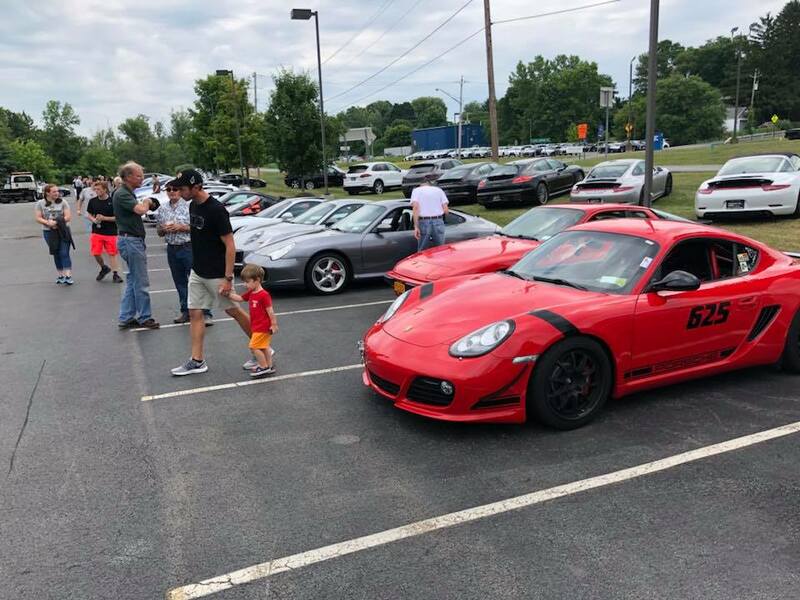 On Saturday, July 15th, New Country Porsche Clifton Park held their monthly Cars and Coffee event where they welcome all motoring enthusiasts to visit the dealership with their prized vehicles! 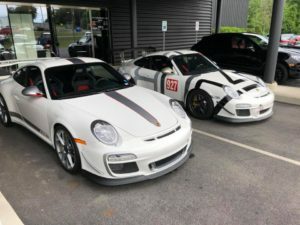 This month was a fantastic event and the team at New Country Porsche Clifton Park welcomes all vehicles to these fantastic gatherings! 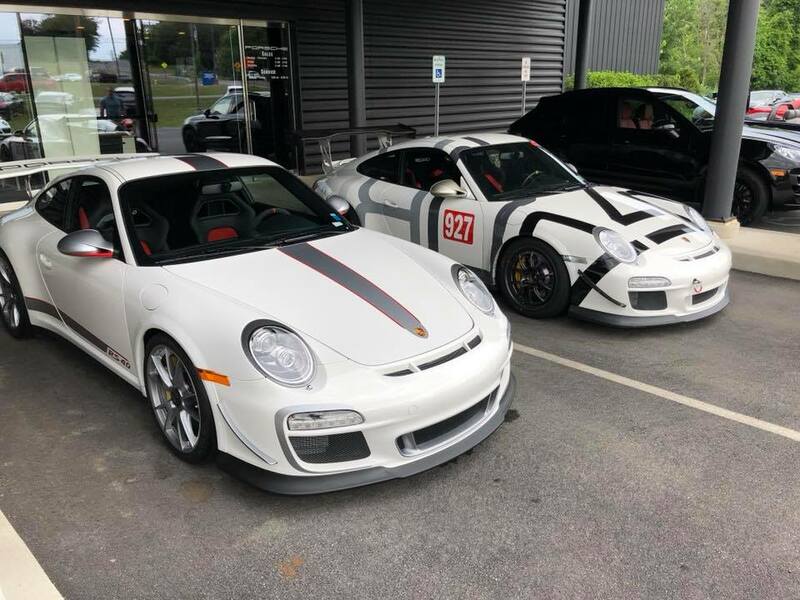 If you want to attend the next Cars and Coffee event, check in to the Porsche Clifton Park Facebook page for future announcements! New Country BMW – Fore the Kids!!! This year marked the 16th annual Jacob Osit Memorial Golf Tournament, which took place June 28th. 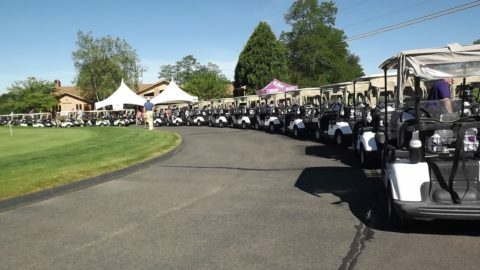 Consisting of a golf tournament between teams of four followed by a dinner and reception with raffle and auctions, Golf Fore the Kids raises money for children battling cancer. Facing cancer at any stage of life is a very difficult challenge for any individual and his or her loved ones, but childhood diagnoses present a very unique struggle to the afflicted and those who care about them. In memorial of Jacob’s brave fight, this fundraiser helps to provide donations to families in need and helps work toward a cure. New Country BMW is proud to be a part of Jacob’s cause and affiliated with the noble work Golf Fore the Kids has been doing for almost two decades. 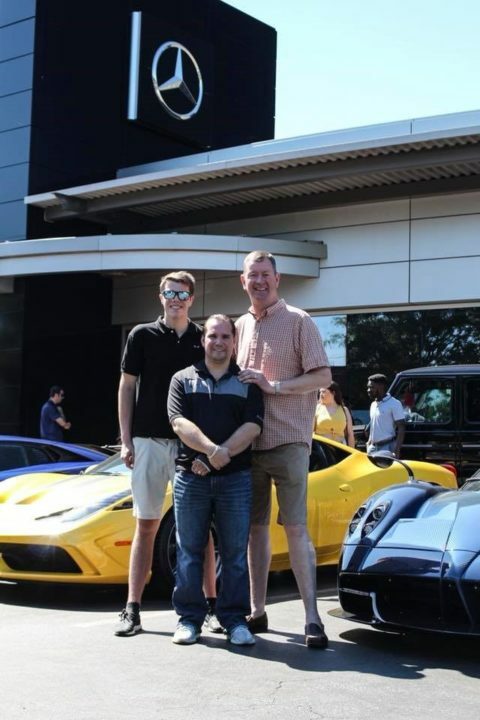 When Benjamin Coady, then a high school student at the Kingswood-Oxford School, decided to create a luxury car show three years ago to raise money for colon cancer, New Country Mercedes-Benz was enthusiastic about getting on board. Through Coady’s hard work and perseverance, he was able to reach his fundraising goal last year despite the outdoor car show taking place in unfavorable weather and conditions. This year, the event was hosted at our New Country Mercedes-Benz dealership and had the best turnout in the event’s three year history. We are proud to host this event and be associated with such an outstanding individual! New Country Subaru at the Cantina Kids Fun Run! Summer is here and what a great event! The Cantina Kids Fun Run is held each year on the first Sunday in June. It’s the only run in Saratoga that’s designed especially for kids! Kids choose the ¼ Mile or 1 Mile course, all kids receive a medal, and the top three boys and top three girls on each course receive trophies. Before and after the run, families can enjoy face painting, a challenge course, healthy snacks, and more. Best of all, by participating you’re raising money for children’s healthcare at Saratoga Hospital. A run for kids, all about kids, that benefits kids…a great family event right in downtown Saratoga Springs! 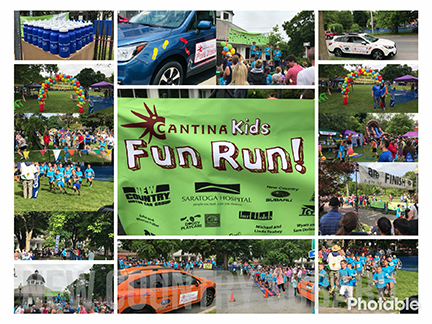 Founded in 2008 by Cantina owners Jeff and Heath Ames, the Cantina Kids Fun Run has raised over $409,000 for pediatric care at Saratoga Hospital’s Emergency Department. The Ames family has a very personal connection to the cause: their daughter, Tessa, now 16, was born with a rare and extremely hard to control form of epilepsy. Knowing that quality pediatric emergency care is important to all parents, whether for a broken arm, stitches, or something more serious, Jeff and Heath created the event as a way to give back to the community. New Country Subaru is proud to participate in this event and support a wonderful group of people in our community! New Country MINI of Hartford has sponsored a winter clothing drive for the past three years. This year the Hartford Public School District asked New Country MINI of Hartford to help raise awareness and resources for the schools art program. The team at New Country MINI of Hartford happily met the challenge! Starting now through December 20th, the New Country MINI 4th Annual “Stuff the Mini to the Max” drive will collect art supplies or monetary donations for the Hartford Public School District. If you would like to participate please bring your donations to New Country Hartford MINI! Please watch the video below to learn more! 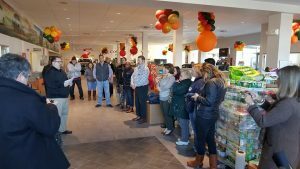 Toyota of Clifton Park hosted the 11th Annual Thanksgiving Food Drive Friday November 17, 2017. With the support of local organizations and countless individuals the food drive will help feed 900 families this Thanksgiving Holiday. The team at Toyota of Clifton Park is proud to support the local area food banks and organizations in need. Thank you to all of the people and organizations who participated and made this food drive a success! Without their help and hard work, this food drive would reach far less people. (HARTFORD, CT)- August 29, 2017– Hundreds of Hartford Public School students are starting the year off right with brand new backpacks filled with donations from New Country Motor Cars 4th Annual “Stuff the MINI to the Max” campaign. 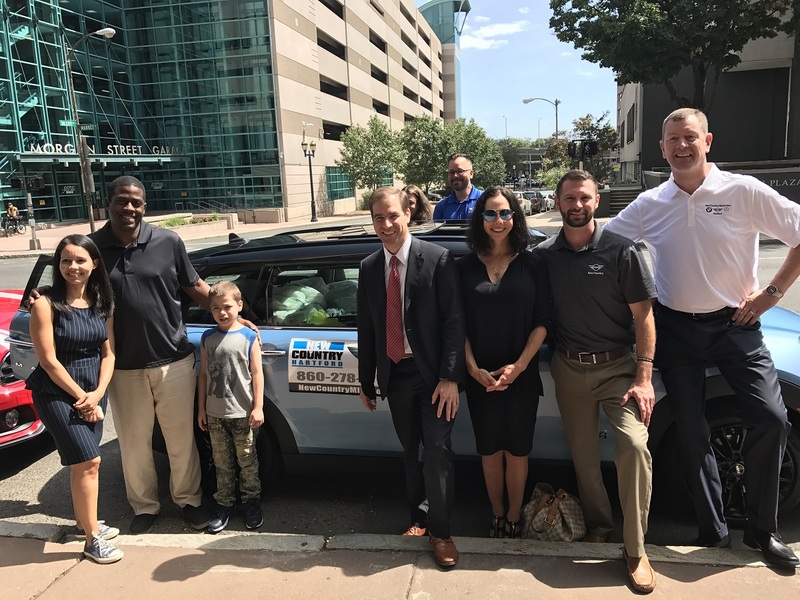 Five MINI Cooper cars jammed with school supplies rolled into the Family Services of Hartford Public Schools Welcome Center on August 28th, where they were greeted by crowds of children, parents and Hartford officials. Mayor of Hartford Luke Bronin, Superintendent of Hartford Public Schools, Dr. Leslie Torres-Rodriguez, and other Hartford school representatives were on hand to help distribute the supplies and to show their appreciation to Tim Parker, Vice President of New Country Motor Cars of Hartford, and the entire staff of New Country MINI. Donations were accepted at the New Country dealership in Hartford and at Staples stores in Glastonbury, West Hartford, Newington and Vernon during the month of August. The dealership also held special vehicle sales events on August 19th and August 26th, complete with food and refreshments, as an incentive to drop off a donation. 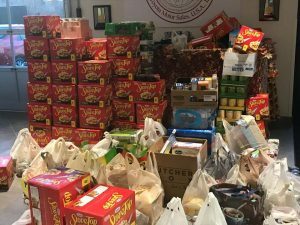 Additionally, Channel 3 hosted a supply drive at the station in Rocky Hill on August 17th. New Country MINI created the program four years ago to ensure Hartford teachers and students are prepared for class and to ease the financial burden on city parents. Approximately 21,000 students were enrolled in Hartford Public Schools in 2013-14, of whom 84.6% were low-income. New Country Motor Cars of Hartford has several locations representing Mercedes-Benz /smart / Sprinter, and New Country BMW-MINI. The organization prides itself on world-class knowledge and impeccable service. New Country MINI is Connecticut’s foremost authorized MINI Cooper dealer offering top-notch new and pre-owned MINI sales, service, parts and accessories. Visit the showroom at 236 Reverend Moody Overpass, Hartford, CT. For more information visit www.newcountrymini.com. PHOTO: from left: Superintendent of Hartford Public Schools Dr. Leslie Torres-Rodriguez, Chairman of the Board of Education Craig Stallings, Mayor of Hartford Luke Bronin, President of Alliances By Alisa Media Relations Alisa Picerno, Sales Manager of New Country MINI Sam Herman, and Vice President of New Country Motor Cars of Hartford Tim Parker, at the Hartford Public Schools’ Welcome Center on August 28th for a record-breaking delivery of school supplies that were collected through the auto dealer’s 4th Annual “Stuff the MINI to the Max” campaign. (WEST PALM BEACH, FL) – August 5, 2017 – Our 4th Annual Coffee, Cars and Cookout benefiting the Dream Ride Organization was held August 5th, 2017 at our Ferrari Maserati of Palm Beach dealership. With our supporters help we raised over $4,000 this wonderful cause! Thank you to all of our donors and sponsors for contributing! The Dream Ride kicks off August 18th. 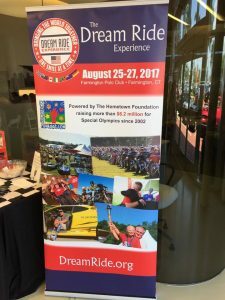 Visit www.DreamRide.org to see how you can be involved! About Dream Ride – The Dream Ride Experience is more than just an event; it is a movement of making dreams come true. The Dream Ride Experience is a multi-day extravaganza featuring Dream Ride, Dream Cruise, Dream Concert, Dream Show featuring cars and motorcycles, and a Family Fun Zone all benefiting a worthy cause, Special Olympics and other charities. 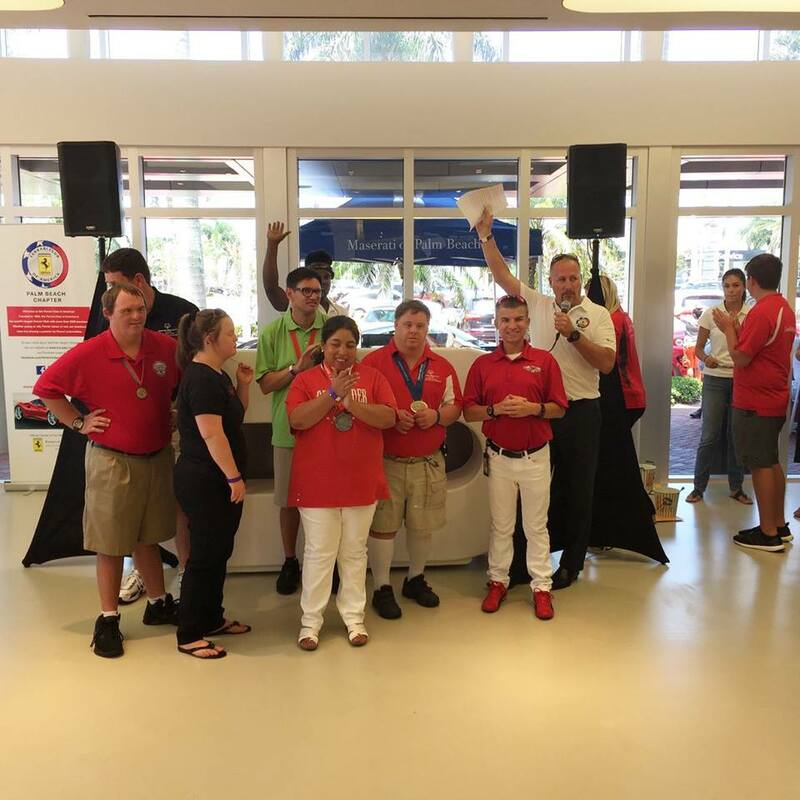 The Dream Ride Experience is the signature event of The Hometown Foundation, Inc. Over the years, The Dream Ride Experience has evolved into a year-long community commitment to celebrate the achievements of Special Olympics athletes. The Experience honors these men, women, and children living with intellectual disabilities in our communities and highlights their determination and willingness to persevere, overcome challenges, and shatter stereotypes. The Dream Ride Experience advocates for inclusion and building friendships amongst not only the athletes, but also the participants. 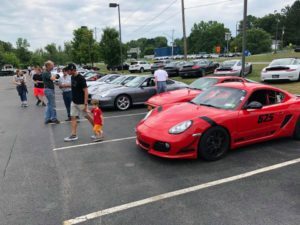 New Country Motor Cars of Hartford continued its partnership with Connecticut Children’s Medical Center by sponsoring a car in the 17th Annual Concorso Ferrari & Friends event on June 25th in West Hartford. The “Parade of Kids” kicked off from Connecticut Children’s Medical Center with 40 luxury Italian automobiles each personally escorting a young child to West Hartford Center, where they arrived to the sound of thousands of cheering fans.“As car aficionados, we enjoy seeing the kids light up when they get to ride in an exotic sports car,” said Tim Parker, Vice President of New Country Motor Cars of Hartford, who personally drove one of the cars. “Anything that we can do to brighten a child’s day who is being treated at the hospital is awesome.” he added. Each year the Ferrari Club of America/New England Region hosts more than 150 Ferraris, Lamborghinis, Alfa Romeos, Maseratis and other unique Italian automobiles at their premier exhibition and fundraising event. Concorso draws more than 10,000 spectators. This year’s event raised more than $100,000 in support of the Connecticut Children’s Medical Center. New Country has participated as a sponsor of the event for eight years. New Country Motor Car Group has several locations in the Hartford, CT area; New Country Motor Cars representing Mercedes-Benz /smart / Sprinter, and New Country BMW-MINI. The organization prides itself on world-class knowledge and impeccable service. New Country Motor Car Group has dealerships representing 16 brands in Connecticut, New York and Florida. Visitwww.newcountrybmw.com or www.newcountrymercedes.com for more information. 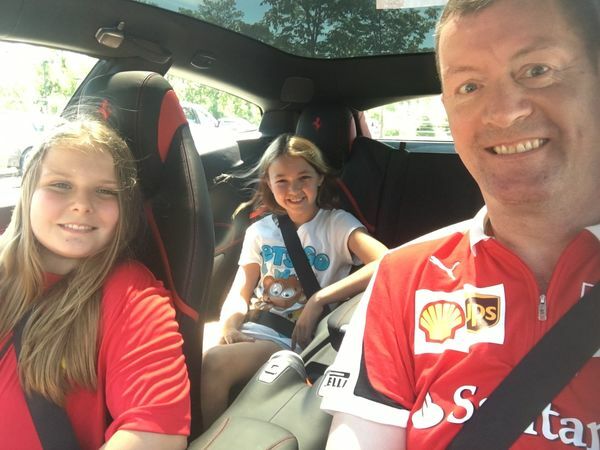 PHOTO: Morgan, a young patient at Connecticut Children’s Medical Center, enjoys a ride in the front seat of a Ferrari driven by Tim Parker, Vice President of New Country Motors of Hartford. Her friend Samantha joined them in the back seat at the annual charity car event in West Hartford. Please sign up to receive updates, promotions and event information.